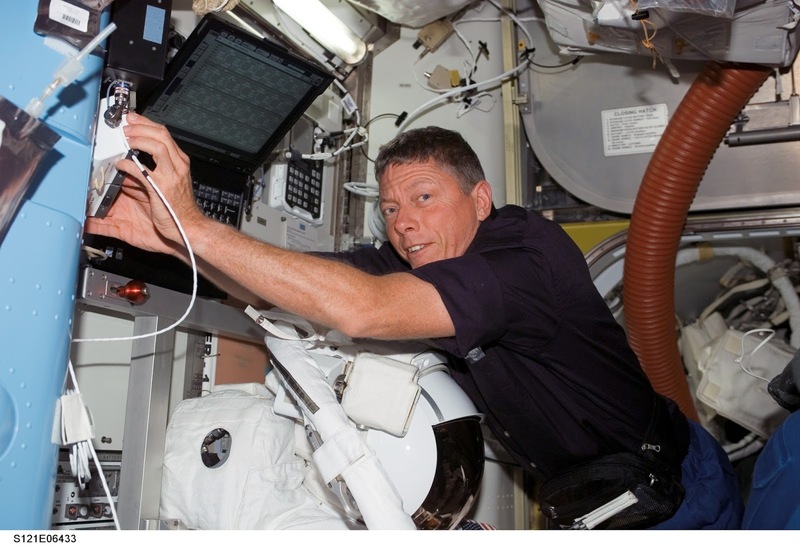 Mike Fossum is a shining example for astronaut wannabes shooting for the stars. His story undeniably proves that dreams of space voyages come true if you have the motivation and courage to pursue them. 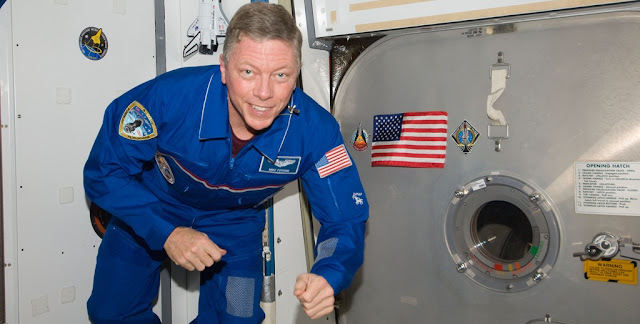 In an interview with Astrowatch.net, the veteran NASA astronaut talks about his successful astronaut career, recollecting unforgettable and thrilling moments in space. Astrowatch.net: You grew up during the Apollo era. How much did moon landings inspire you to become an astronaut? Mike Fossum: I was born two months after the launch of Sputnik and grew up enthralled with the space program. I distinctly remember the night the dream of flying in space became personal to me. I was laying on my back as our Boy Scout campfire died down, looking up at a beautiful star-filled sky. I was about 12 years old and the dream became crystal clear: I want to reach for those stars, too. This seemed like an impossible dream and it faded over time, but it did help motivate me throughout my education and early work career. Astrowatch.net: How much your education in systems engineering and physical science, together with Air Force experience prepared you for being an astronaut? Fossum: For me, this was the perfect preparation for a career as an astronaut. I enjoyed my undergraduate work in mechanical engineering, but wanted to broaden myself in the field of systems engineering. In that program, I learned more about other discipline areas and how the design of complex systems requires a balance of many conflicting considerations. I later earned another master’s degree in physical science which had a strong emphasis on space science. I had always had a strong interest in our natural world, including things like geology and astronomy. This program allowed me to learn about planetary geology, how stars work, and the science of creation. My defining years in the Air Force were as a Flight Test Engineer at Edwards Air Force Base (AFB). I loved the challenge of figuring out how we could test new systems and technology to ensure it was safe and performed the mission properly. We tested some new ideas which did not work during those years. Some might consider those failures, but I call it a success when we were able to run a disciplined series of tests and could definitively prove something was not a good idea. Astrowatch.net: You began your career at NASA as a systems engineer. Could share some details about this job? What were you responsible for? Fossum: I actually worked at two different times at NASA. From 1982 to 1984, I was detailed from the Air Force to NASA's Johnson Space Center (JSC) and served as a space shuttle procedure specialist. My job was to help manage the complex procedures used by the astronauts to operate the space shuttle orbiter and its systems. I directly supported every flight in Mission Control during those years beginning with STS-3 (NASA's third Space Shuttle mission). When I came back to NASA as a civilian in 1993, I started working on a project for NASA dedicated to buying Russian Soyuz spacecraft that could be used as an emergency escape vehicle for the International Space Station (ISS). Later that year, NASA started a major effort to redesign the Space Station and to include the Russians as new partners in the program. I worked for two to three years to help finalize the designs and the details of how the elements would come together. This involved a lot of work in the robotics and spacewalk areas. I wrote the flight test plan for the Simplified Aid for EVA (extravehicular activity) Rescue, or SAFER – a self-rescue backpack to be worn by spacewalking astronauts. I later convinced the ISS program that we needed to invest in this capability to protect our crews. In another challenge, I worked closely with astronaut Charles “Lacy” Veach to justify the need for the ISS cupola to provide direct viewing for robotics support. Having had the pleasure of using the cupola on orbit, I cannot imagine the ISS without this incredible asset. Astrowatch.net: What was your role in the development of the experimental re-entry vehicle X-38? 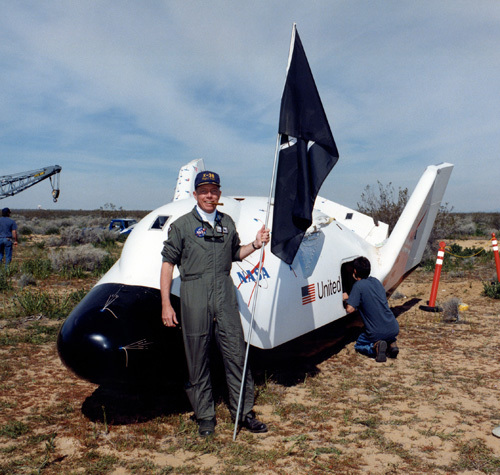 Fossum: Together with Col. Don Reed, I helped lead the flight test program for the X-38 test program. We both had military flight test experience and were brought onto the team as the first test vehicle, V-131, was nearing readiness for test. We supported parafoil and systems testing at Yuma Proving Ground, Arizona, and led the efforts at NASA’s Dryden Flight Research Center at Edwards AFB (now NASA's Armstrong Flight Research Center) for the captive carry and free flight program of the X-38 test vehicle. Astrowatch.net: Could you recall the moment when you were chosen by NASA as an astronaut in 1998? What did you feel back then, what was your reaction? Fossum: I was at Yuma supporting an X-38 test and heard a phone ringing in an empty conference room. On a whim, I went in and answered the phone. Duane Ross (NASA veteran managing astronaut candidate selection and training at JSC) was on the other end and asked me if I was still interested in being an astronaut. I was in shock and stammered something about maybe that would work out and hung up on him. I literally fell to my knees with a prayer of thanks for making this dream come true after so many years. I must note that I submitted my first application in 1985 and went through five interviews before I was finally selected 13 years later, so my emotions were definitely very high. I was told I could not tell anyone but my wife until NASA made the public announcement the next day, but it was impossible to keep the secret from the NASA friends with whom I was deployed in Arizona. When they saw my face, they knew something big had just happened and quickly guessed the truth. There was no time for celebration until much later that evening because we were preparing for a test mission in a few hours. Astrowatch.net: Which of your three spaceflights do you remember the most and why? Fossum: It is very hard to narrow this down – all were very special – but I will have to say it my first flight (STS-121 – July 4, 2006). We were on a return-to-flight mission after the accident (Space Shuttle Columbia disaster on Feb. 1, 2003). There was a lot of internal controversy concerning the integrity of the foam on the external tank and whether or not NASA was ready to attempt another flight before making more modifications to the foam. The NASA Administrator, Mike Griffin, spent three hours meeting with our crew in quarantine the night before the final Flight Readiness Review (FRR). He wanted to look each one of us in the eyes to make certain we were ready to proceed. There were tough calls being made by the managers and careers were on the line, but he wanted to hear directly from the individuals who would be on the rocket. The launch was spectacular with an astonishing rush of acceleration as the rocket burned fuel. When we reached orbit and the main engines abruptly shut down, my arms and checklist floated up from my stomach. My job was to get photos of the external fuel tank as it fell away, so I immediately removed my helmet and gloves, unstrapped, and floated up to the window. Since I got there in about a minute, we had not pitched around enough to see the external fuel tank. Instead, I was looking at an expanse of the blue Atlantic Ocean with a dappling of white clouds. Also visible was the blackness of space with a thin, curved band of atmosphere separating the two. It suddenly hit me this was not a photo or a video replay but this was me looking back at planet Earth through a window from space! I wondered if this might also be God’s view looking down from above and I said a quick prayer of thanks for getting us to orbit safely and for making my lifelong dream come true. Then the external tank came into view and I got to work. In short, that first ride to orbit and view of the Earth below is a vivid memory I hope will never fade. Astrowatch.net: How much a Soyuz flight differs from a space shuttle mission? Fossum: There are a huge number of differences. Space shuttle mission lasts only about two weeks. The Soyuz flight to ISS is almost half a year. Space shuttle was spacious inside while the Soyuz is a tight fit, but excellent for crew of three and some cargo. Space shuttle launch included a lot of dynamic vibrations from the solid rocket boosters. Soyuz was smooth all the way up, except for a brief “bump” between the second and third stage. Space shuttle landings were so smooth, it was hard to tell exactly when touchdown occurred. The same is not true for the landing of a Soyuz! Astrowatch.net: What were you duties when you served as the ISS Commander during Expedition 29 in 2011? Fossum: As the ISS Commander, my job was to look out for the safety and wellbeing of my crew, to take good care of the ISS, and to accomplish our mission objectives. The greatest challenge we faced was a delay in Soyuz launch operations after the failure of Progress cargo mission. Due to similarities in the rockets, the second half of my crew was delayed for two months. Not only were we short-handed, but nobody was certain when they would arrive, so we had to prepare for the possibility of extending our mission by two months and even leaving the ISS before the next crew arrived. A lot of work went into this, but in the end we were only extended by a week and the new guys arrived with four days of overlap to hand over the keys. Astrowatch.net: You have conducted an impressive number of seven spacewalks. Which one was the most challenging? Fossum: My most difficult EVA was probably my first during STS-121. During this EVA, my lead, Piers Sellers, and I were tasked with trying to determine if we could perform the kinds of dynamic tasks which might be required to repair damage to the orbiter’s thermal protection system. 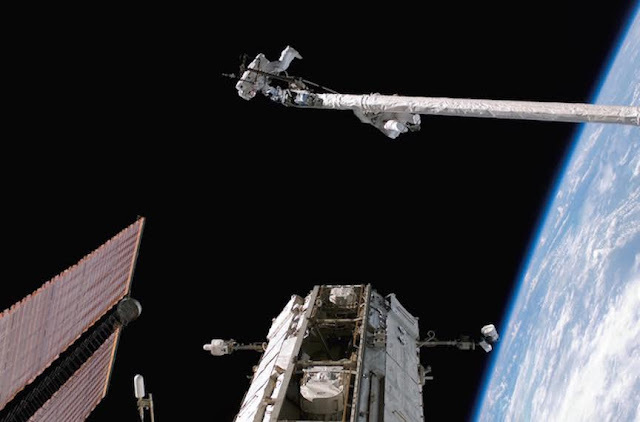 In order to get access to a potential repair site, we needed to extend the reach of the shuttle remote manipulator system and provide a work platform for the EVA crew. This was done with the Orbiter Boom Sensor System (OBSS) – a new boom system which had a suite of inspection sensors on one end. Piers went up first for a solo run, then the arm was maneuvered back to the orbiter’s payload bay. I secured my feet in the footplate while Piers hung onto the side and we were lifted into free space for the tests. To excite structural modes in the extended system, I made big, intentional moves with my waist and legs, then held still while the dynamics damped out. It is important to note that my heels were loosely rotated into a boot plate and I was positioned such that I could not see anything made by a human – the ISS and orbiter were out of my view. The only sense of security I had was pressing my heels outward to ensure I remained firmly attached to the boot plate. After completing several test points, we reached the point where I was required to rotate my feet out of the boot plate, climb down to change the configuration of the Articulating Portable Foot Restraint (APFR), then re-ingress the APFR. I was secured to the robotic devices with two tethers, so in no real danger of floating away, but there were a few moments of sheer, stark terror as I floated free and looked back at the very disturbing sight of the long, spindly robotic arms and the safety of our space shuttle orbiter a very long distance away. I managed to control my voice, but my heartrate gave me away. For this first EVA and all subsequent, I maintained a healthy respect for the environment and never allowed myself to feel too confident, lest I get complacent. EVA remains the most dangerous thing we do, other than launch and landing. Astrowatch.net: How your spaceflight experience could help you in your new role as a vice president of Texas A&M? Fossum: I have lived a life of service to our country through NASA and the US Air Force. I have been blessed to experience my childhood dream of flying and working in space, and I have greatly enjoyed helping others achieve the same goal while working with amazing teams on the ground who made it possible. At this point in my career, I am proud to serve the university I love which prepared me for this journey, and I look forward to inspiring and equipping our next generation of leaders and explorers. I really am moving from one dream job to another! Mike Fossum is a retired U.S. Air Force colonel and a former NASA astronaut. He is a veteran of three space flights; STS-121 in 2006, STS-124 in 2008 and Expedition 28/29 in 2011. Fossum has logged more than 194 days in space, including more than 48 hours in seven spacewalks. After retiring from NASA in January 2017, Fossum assumed the role of Chief Operations Officer of Texas A&M University at Galveston.